The BODIE and FOU SS/2013 catalogue has landed! I’m proud to say that our latest catalogue has landed on our UK customers’ doorsteps today! If you haven’t received a copy you can request one here before we run out. This means that I can finally show you the inspiring workspace I styled in our new offices and which is one of my favourite ones. I’m beaming with proud and I wish I could jump with joy but after a week fighting the flu and then a viral stomach bug, I can hardly stand up which is hugely frustrating but I really hope you will enjoy it. 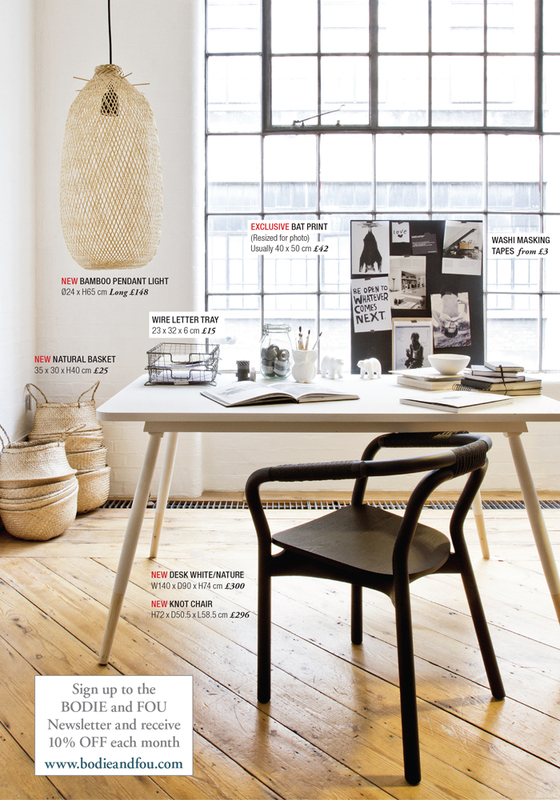 My style, that daybed, our office move…. Previous PostDreaming of a grey sofa for our holidays home in France….